Saturday, October 13, Smyrna Christian School Fall Festival. 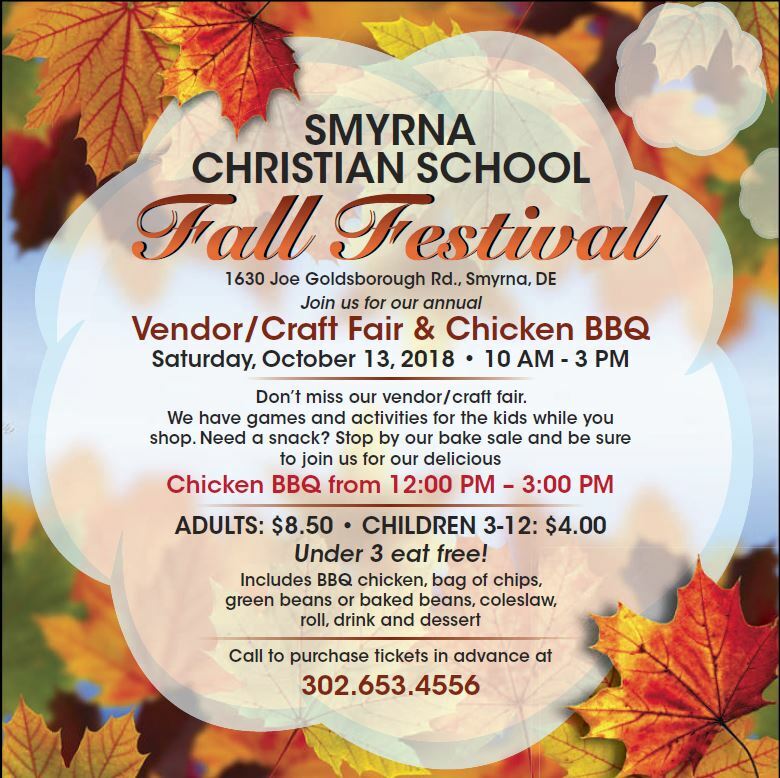 Please join us for this fantastic family event featuring our: Vendor/Craft Fair & Chicken BBQ. From 10 AM–3 PM you won’t want to miss our showcase of vendors and crafters. Be sure to join us for our delicious Chicken BBQ from noon – 3 PM!